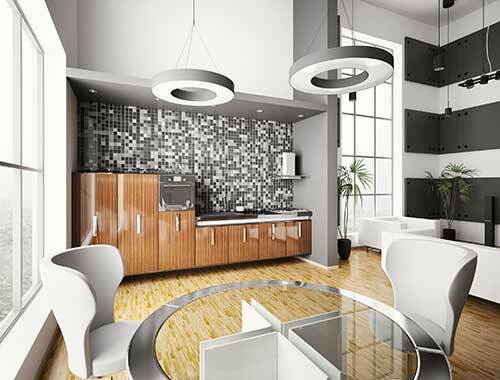 Kitchen design and manufacture may be your whole business or just a part of it. Kitchen projects can be complex and prone to error, so here’s a software package that allows you to design fast and reliably, output costs and render in 3D much faster than with a CAD package. You will save an enormous amount of time and money, cut out production and assembly mistakes, and close the sale much more easily than before. We will share with you how you can use Polyboard, our custom kitchen design tool, to help you, plus practical time saving and design tips for any wood worker. Traditionally designing a kitchen takes a lot of time. First you have to draw out all the plans, and if a client changes their mind or if you need to make adjustments, then it is back to the drawing board all over again. Not being able to easily change details of a project can be frustrating, especially if you’re running a business and your time has value. That’s where furniture design software like Polyboard comes in. Once installed you can easily start designing thanks to an intuitive user friendly interface. All the hard work you put into your designs can be automatically exported complete with an accurate cut list, plans of every part, and files to run your CNC router. It has never been easier to efficiently pass through the planning stages of a woodwork project then get on to building and exceeding your client’s expectations. Click here to download and test Polyboard today. Specialised woodworking software is so much quicker than designing by hand or even using a CAD system because it has been designed by wood workers for wood workers. We know what features help bring custom creations to life, cut down on waste, and save you time. 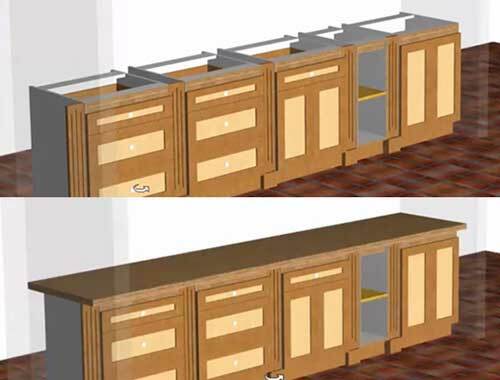 Polyboard allows you to input the exact measurements of the kitchen so there are no errors; then with the click of a mouse you can drop in pre-configured individual elements (side boards/cabinets/islands and doors/drawers/shelves) into your design and resize them at will. Although it can be used for a large range of other furniture design, it’s especially useful for kitchens. Our software was originally created for designing cabinets, which gives us a solid foundation of expertise that is ideal for all kitchen design needs. There are extensive training resources available on our website to answer all of your software related questions and teach you how to do just about anything using the software. Software doesn’t have to feel constraining, you can use our kitchen design software to create your own unique elements or personalise the ones we provide. So if your clients want a wine rack in their kitchen island, a drying rack above their sink, or a larger cupboard to store their semi-professional baking equipment, all it takes is a few minutes to create. It’s also easy to edit the designs in case you need to scrap the shelves in favour of cabinets or make the island into a breakfast bar. Polyboard software even auto updates the overall materials needed and the cost for you, so you can provide an updated quote without manually editing all of your calculations. Take a sigh of relief, math haters. Our kitchen design tool even has a library of popular kitchen design brands, so that you can install specific hardware, cupboard fronts, door handles and materials. Polyboard calculates the exact measurements so you won’t waste money on mistakes in the design which come back to haunt you during assembly. The software automatically calculates the cost because it takes into account the material that you’re using and the sizes you’ll need, so there won’t be any surprises when it comes time to pay your suppliers. Polyboard even has a free version with full design capabilities, all that’s missing is the manufacturing output. To get that use our cut list and plans service. Ideal to test our kitchen software before buying or for use on a one-off or occasional projects. Even if you do choose to pay for the full version, Polyboard is significantly cheaper than similar professional software. Unlike other companies we have no hidden costs or ongoing obligatory support and upgrade costs. Once you’ve designed your client’s kitchen, all you have to do is export the designs to a cut list file including full plans of each part, print it off and move on to the manufacturing phase. We have Polyboard Pro PP available that provides you with the output for your CNC router and also offer full integration with our cutting optimisation and nesting optimisation software. This allows you to save even more money down the road. Most professionals will buy the software outright so all the manufacturing documents can be immediately output. However, Polyboard users working on a one-off or occasional projects can instead design furniture with the free version and use our CabinetFile cut list and plan processing service. We also have an Approved Supplier network. 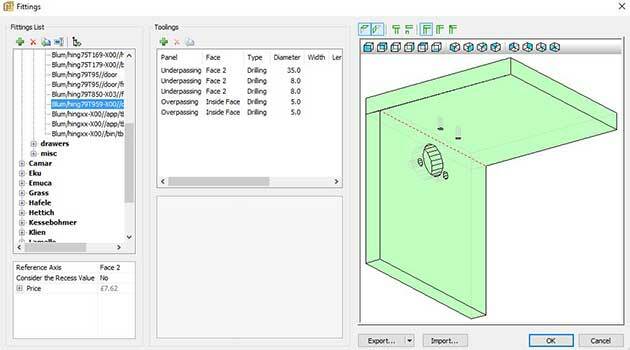 Use the free version of Polyboard to complete your design, then send it to them to have your parts manufactured. Outsourcing like this is a great way to save money and streamline your business. When designing a kitchen, there are hundreds of choices to make, from the overall style to the paint colour to the choice of mod cons. This can sometimes feel overwhelming but the first thing that you need to do when designing a kitchen is to understand the space that is available; there’s no point designing a kitchen fit for a manor house, if you’re creating one for a maisonette. 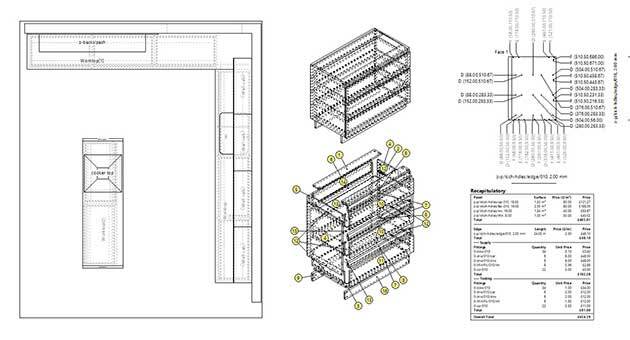 You can use Polyboard project mode to add the exact size and layout of the room and ensure each and every one of your cabinets and accessories fits just right. Natural light – this will help you decide how much lighting you need to install and the colour scheme to choose. Talk to your clients about how the palette can affect the atmosphere and size of a room. Space – if the only route to the garden is through the kitchen, consider whether the breakfast bar or shelving units will restrict access for your clients. Make sure you leave plenty of space in front of the cooker, as cooks may need to step back quickly if fried food spits at them, and in front of the dishwasher, so it can be opened and emptied easily. Users – while adults are unlikely to pull items from low shelves or draw on the walls with felt-tips, you may need to adjust certain elements of the kitchen if toddlers are in the mix. Older children and elderly household members might not be able to reach high shelves. 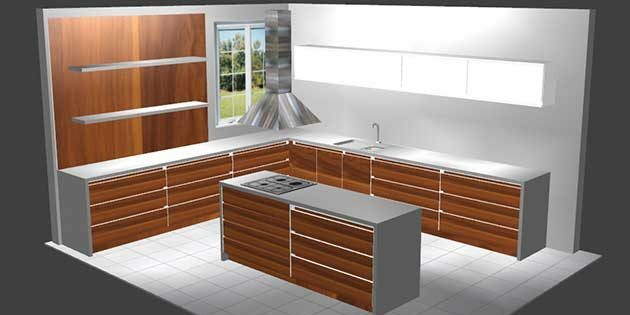 Using our Polyboard software allows you to create both 2D and 3D kitchen designs, bring projects to life with realistic graphics, receive agreement on the final design before committing to buying materials and help both you and your client notice which areas might need rethinking or adjustment. Click here to test out our Polyboard download or contact us with any questions. Hi Goran, you would need to sign up for at least 1 month’s Premium Support on our Support Plans page. The price is currently £50. You can cancel the subscription yourself before the end of the month if you don’t want to pay any more. Premium Support will will allow you to use our CabinetFile cut list and plans processing service at no extra cost. Design with the free version of Polyboard (ALL design features are available in this version), then post your project file on the forum. Ask any questions you have first, then request the cut list and plans and we’ll process them for you. We can also advise you during the build process if you wish.